Card details are only requested at the final checkout stage, when you are transferred to a secure payment page. You can safely enter your card details, which are passed by the payment provider to your issuing bank for authorization. Delivery to Ireland and USA is free. For delivery charges for the rest of the world please check here. Deliveries within Ireland are next day, if you order before 11am. They take between 6-10 working days for Europe. Deliveries to USA and the rest of the world will take 8-12 working days. You can return your purchase within 30 days of receiving your original order. The item must be unused and in its original condition and packaging. For exchanges please contact us directly. Check here for more details. We ship with AnPost and the order is tracked. Please contact us at info@enibas.com if you require your tracking code. Can I order for delivery to an address different from the billing address? Yes, just enter your shipping address at check out. The policy covers how we use your personal information. We take your privacy seriously and will take all measures to protect your personal information. We only collect information that is relevant to your order. This includes your: Name, Billing Address, Shipping Address, and Email Address Your information is only used to complete your order. We do not sell, redistribute or disclose any of your information to anyone. How much are jewellery gift boxes? Free! Our beautiful jewellery gift boxes do not cost you anything. We make beautiful things, and make sure that they arrive in beautiful packaging. Yes, gift wrapping is available online for an additional €3.50 for each item. Your piece will be beautifully gift wrapped by hand and you can choose to include a personalised gift card. View our gift wrapping here. Jewellery specifications and chain lengths? Each product page has a list of Product Details at the bottom of the page. Listed are sizes, materials and chain lengths. Our chains come at a minimum length of 16 inches. Some are extendable from 16-18inches. A well fitting ring should go over your knuckle with a slight push, and sit comfortably on your finger without pinching the skin. We advise that you get your ring size measured at your local jewellery shop. 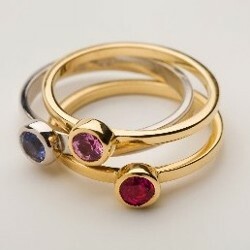 Please tell the jeweller if you intend to buy a narrow or wide band, as this affects the size. Avoid getting your finger measured when your hands are much warmer or colder than normal, as this can also influence ring size. An alternative method is to find a ring that fits that finger, make sure it is perfectly round, and use a very sharp pencil to draw inside the ring as close to the band as possible. Take the diameter and use the table here to determine the ring size. Remember your right and left hand will be different sizes so be sure to get the measurement for the correct finger! View our ring size conversion table here. Where can I view your jewellery in Ireland? 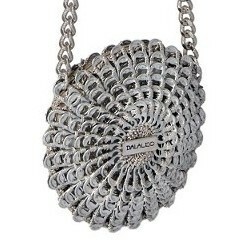 We have two beautiful boutiques in Schull and Kinsale, West Cork, where our own jewellery, amongst others, can be viewed. Enibas collections are also stocked in various locations around Ireland. Find a list of our stockists here. No, you do not need to create an account to make a purchase. You can simply select the ‘Check out as guest’ option when checking out. If you forget your password, simply click on the 'Forgotten Password' button on the ‘sign in’ page. You will be asked for your email address and username, and you will receive an email with a new password. We would advise you to log in and change the new password to one more memorable to you. 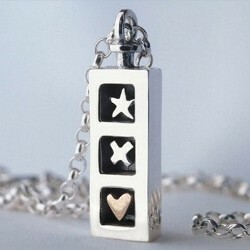 There are advantages to creating an account such as the option to track your order history and create a wish list. Will VAT be charged to my purchases online? If you live outside the European Union you can buy exempt of Value Added Tax. The VAT will be taken off at check out. It amounts to approximately 12% of the total value of the purchase. Gift vouchers are available online to whatever value you wish. The voucher will be sent directly to you, or your recipient's address by post. Each gift voucher has a unique voucher code number which can be redeemed against any purchase either on the website, over the telephone, or in store. Are the products pictured actual size? No, the items online are not actual size. However, for the majority of the products there is a secondary image of the piece being worn by a model. Actual dimensions of the product are given at the bottom of the page under the Product Details list. May I return or exchange an engraved piece? No, engraved personlised goods cannot be exchanged. Yes. 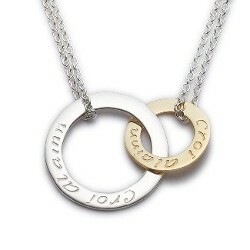 We can accommodate up to 4 words on one silver circle of our personalised collection. We charge €10 per word and you can enter your desired text into the box provided on each product. Read more about our engraving service here. To view your Order History log into to your account. If you have not registered an account with us, you can do so here. From time to time we may offer promotional codes. You can apply the code online when checking out and receive your discount automatically. Each gift voucher has a unique voucher code number which can be redeemed against any purchase on the website when checking out, over the telephone or in store. We value your privacy and we will not share your information. It is our policy to ensure that all goods are supplied to our customers in perfect condition, quality inspected and properly packaged before despatch. Enibas Ltd reserves the right to refuse to supply any individual or company and reserves the right to deny access to their website. Products are subject to availability and delays may occur that are out of our control. If your order is not available at the time of purchase we will contact as soon as possible to give an estimated delivery date. If no one is available to accept delivery of your package, it is at the discretion of the carrier to either leave the package at your residence or leave a notice advising you that your order is available for pick-up or re-delivery. Enibas does not accept responsibility for unclaimed packages. Any typographical, clerical or other error or omission in any website based information, quotation, invoice or other document or information issued by us shall be subject to correction without any liability on our part. Every reasonable effort has been made to accurately depict the appearance of the products. On occasions, there may be minor differences between the product's appearance in the photograph and the item delivered. We do our very best to ensure we accurately portray the product to you. We accept payment online by VISA, MasterCard, Maestro, American Express, Diners/Discover, and Laser card. Payment must be made in full before the goods can be shipped. We endeavour to keep our shipping costs low. We know how much our customers love our quality product and how much they dislike additional costs. Our shipping page and shopping basket will advise the shipping cost at the time your order is placed. Any amendments or cancellations to an order must be submitted via email before your order has been processed. We will do our best to assist you with any changes. All goods are the property of Enibas Ltd until full payment has been received. The Enibas website, and its contents are protected by intellectual property rights and permission is only given for personal use. Any use beyond that permitted may constitute an infringement of owners' rights and may be prosecuted. We shall take all reasonable care in packaging any fragile or breakable items. In the event that any such items are damaged in transit the Enibas Ltd shall be responsible for replacement costs of item only. Enibas Ltd shall not in any way be responsible for any personal injury or damage to property howsoever caused. Enibas Ltd shall not in any way be responsible for any damage or any indirect loss caused by products arriving late or damaged. By shopping online with us you accept these terms and conditions. Here at enibas.com we are passionate about our products and service and we want satisfied customers. We hope you will be pleased with your purchase. If you are not satisfied we'll be happy to offer you a refund or exchange on any merchandise that is returned in its original condition within 30 days of receipt. Please note you will have to pay the return postage cost, you will be will advised you of this in advance of processing your return. All you have to do is send an email to info@enibas.com with all the details and we will help you to process your return. Refunds will only be made to the original card of purchase.